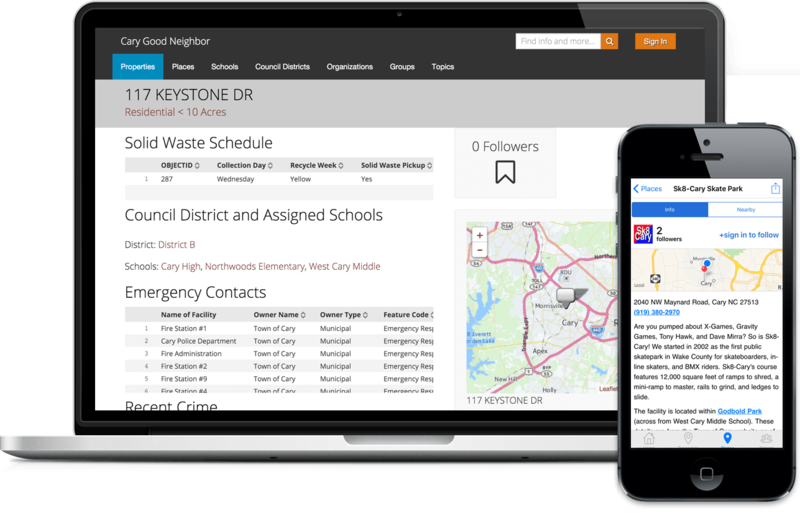 Triangle Hub combines open data with the social and collaboration tools for everyone to make a difference. People: We succeed the quickest and surest by combining the talents, skills and experience across our entire community. Join us... we need you! from the Town of Cary and Wake County. Since then we've released several apps!